Harvard’s ASH Center for Democratic Governance and Innovation has named the Texas Master Naturalist Program as a “Bright Idea in American Government” Award recipient. For more than 20 years, the Innovations in American Government Awards Program has recognized the very best innovations in American government and has brought national attention to these practices and promoted their widespread dissemination. Since its inception, the Innovations in American Government Awards competition has received over 27,000 applications for the award. The Texas Master Naturalist program is part of a cohort that includes programs from all levels of government — school districts, county, city, state, federal agencies and tribal nations, as well as public-private partnerships — that represent the next horizon in government work to improve services, solve problems, and work on behalf of citizens. This is the fifth cohort recognized through the Bright Ideas program, an initiative of the broader Innovations in American Government Awards program. For consideration as a Bright Idea, programs must currently be in operation or in the process of launching, have sufficient operational resources, and must be administered by one or more governmental entities; nonprofit, private sector, and union initiatives are eligible if operating in partnership with a governmental organization. Bright Ideas are showcased on the Ash Center’s Government Innovators Network, an online platform for practitioners and policymakers to share innovative public policy solutions. To view the full list of recipients for the 2017 Innovations in American Government Awards Bright Ideas, visit https://www.innovations.harvard.edu/2017-innovations-american-government-awards-bright-ideas. To learn more about the Bright Ideas Award Program, visit https://www.innovations.harvard.edu/awards-programs/bright-ideas. Together they provide education, outreach and service to their community with an emphasis on how to manage Texas’ natural resources. Texas Master Naturalist (TMN) was instrumental in transforming Lewisville Lake Environmental Learning Area (LLELA) into a dynamic, publicly managed wildlife preserve with many exciting projects constantly underway. With a full time staff of 3 and 2000 acres to manage and restore, only a fraction of the current projects could be accomplished without the assistance of the Master Naturalist Program. This has also resulted in a huge increase in community involvement in habitat conservation and environmental education. Twenty new partnerships were developed by TMN chapters statewide in 2013 with over 370 partnerships established statewide. The Master Naturalist program has been so successful in Texas that it has been replicated in 29 other states. Since 1997, the Texas Master Naturalist program has grown to include 43 chapters and more than 8,000 volunteers serving Texas communities throughout 70 percent of the state’s counties. The mission of the program is to develop a corps of well-informed volunteers to provide education, outreach, and service dedicated to the beneficial management of natural resources and natural areas within their communities. On Saturday, April 24th, Michelle Haggerty and Sonny Arnold represented the Texas Master Naturalist program and our agency sponsors of Texas Parks & Wildlife and the Texas AgriLife Extension Service as the program was accepted the Environmental Awareness Award in the nonprofit Education Category from the Texas League of Women Voters during the League’s Biennial Convention in San Marcos, Texas. Several of the convention awards luncheon attendees were Texas Master Naturalists as well–Thanks and congrats to you too! Penny Miller, a Master Naturalist in the Rolling Plains Chapter nominated the Texas Master Naturalist program for this award. Penny is also a member of the Texas League of Women Voters and she was able to personalize the nomination form with Statewide program stats and specific examples of volunteer service projects and impacts of the Rolling Plains Chapter of the Texas Master Naturalist Program. Mark Howell, of the Inland Fisheries Division is the TPWD Advisor for the chapter there locally and has been a great resource and source of support for the local chapter since its inception. Fred Hall, recently new to his position as the Wichita County Ag & Natural Resources Agent for the Texas AgriLife Extension Service, is supporting the chapter as well. Thanks Gentlemen! Jensie Madden, also a League member AND a Texas Master Naturalist worked at writing and distributing news releases in the local area regarding the honor. Thanks for the publicity Jensie!! 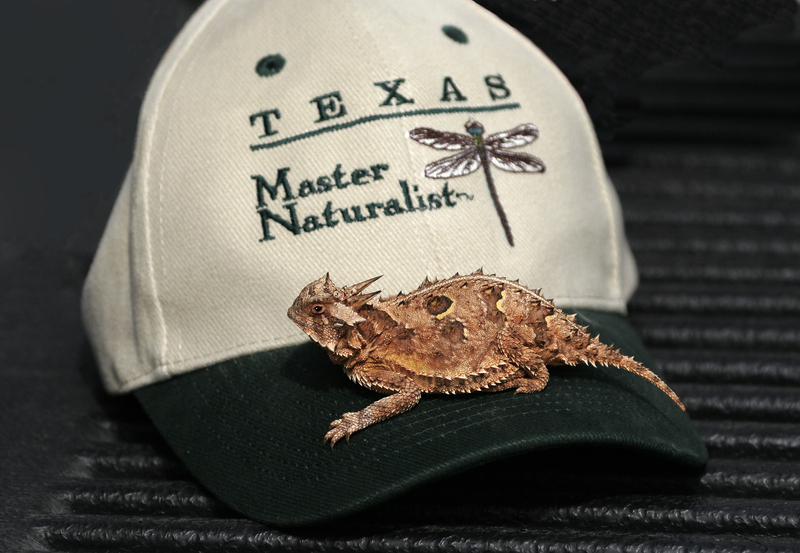 Thanks everyone for your dedication and support of the Texas Master Naturalist Program. This award is a recognition of the hard work of each and every one of our Texas Master Naturalist Volunteers. • Has made a significant difference in improving the quality of the environment in Texas. • Has made a positive difference statewide. • Has demonstrated a long-term involvement in environmental issues. • Has demonstrated risk-taking behavior to protect the environment. • Has provided information to educate the public about the environment. • Has contributed to protection of the environment for future generations. • Has demonstrated coalition-building skills to maximize involvement by others. • Has served as a role model for others. With these awards, the League continues the 80 plus years of promoting good government and environmental protection in Texas and the United States.